Where Every Day is a New Treasure Hunt! 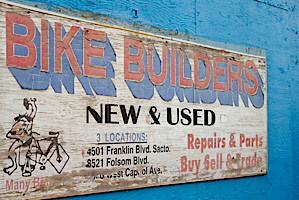 In the 1950’s, George Jensen owned the land on which the Folsom Boulevard Flea sits. Mr. Jensen was a large landholder in the area and ran a hops drying facility “Green Barn”, which stands today and is occupied by merchants. Hops were then sold to the area’s local breweries. In early 1963, Mr. Jensen decided that it would be a good idea to get to better know the community so he invited people to set up tables in what is now the parking lot area to sell unwanted items from their garage and house. He charged $3 and allowed community members to camp on Friday nights so they could set up their wares early on Saturday morning. There were a lot of festivities on Friday nights including barbeques and bonfires. In 1964 Mr. Jenson sold the land to Emil Magovac, Sr., who was a local businessman. Mr. Magovac later sold half the business to Mr. Charles Maroosis. Together the Magovac and Maroosis families took what they saw and expanded it to include individual merchant stalls, and made the whole process simpler for vendors by offering a new reservation system and on-site product storage during the week. We are approaching our 50th year of providing the community with a way to make money selling great stuff; save on a myriad of household items, tools, entertainment, fresh produce and a variety of services; and spend a day together as a family shopping, eating, and playing. 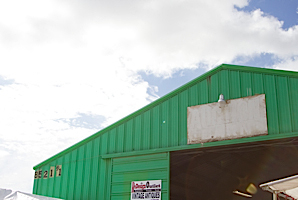 We’ve been a community and family tradition to several generations, and that’s something we’re extremely proud of. 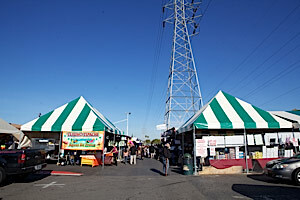 Approximately 25 vendors accepted Mr. Jensen’s invitation to sell their wares in at the Folsom Boulevard Flea Market. Today, more than 200,000 people visit us each year. There are numerous places to sample food which includes Chinese, Mexican, a deli, gourmet hot dogs and grilled breakfasts for those who come early.